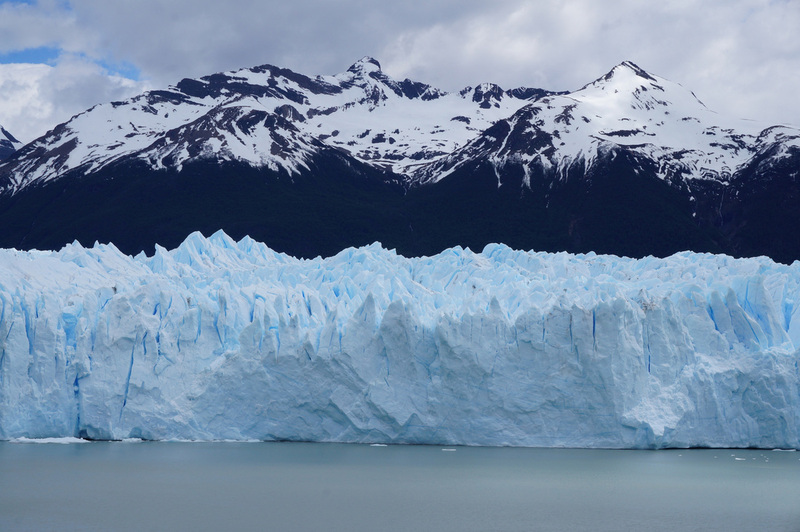 Calafate is home to Perito Moreno - the "It" glacier of Argentina. 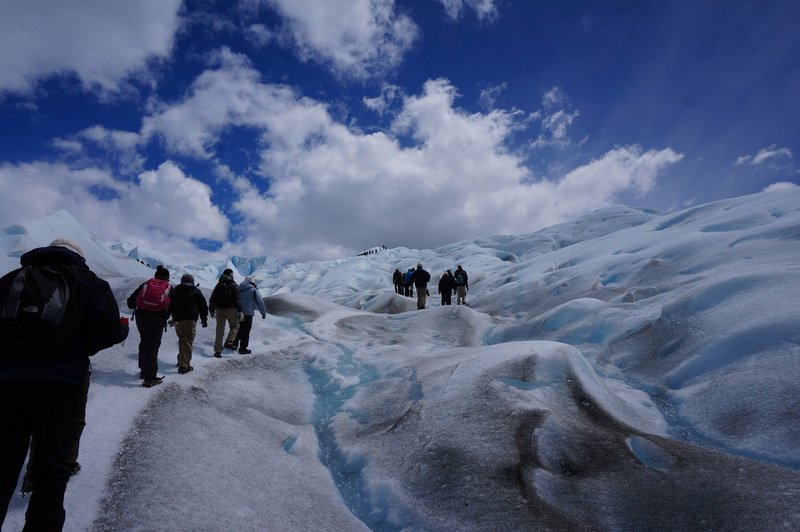 The glacier features prominently in many Argentina guidebooks and thus is a stop on many travelers itinerary. 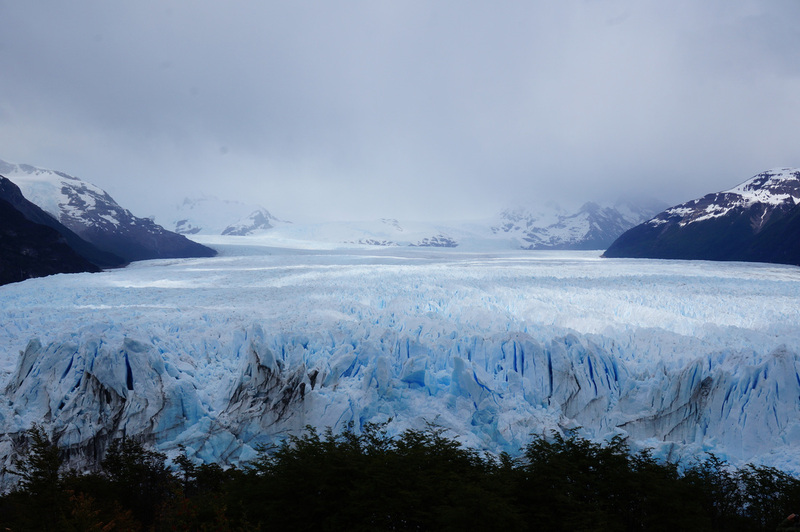 It was a bit of a shock to arrive in the tourist catered town of Calafate after a few days of trekking in Patagonia. Instead of being among rugged backpackers I was suddenly among the long lens camera toting, wine drinking crowd. The Dragoman crew had a group dinner at a local parilla with a well cooked lamb. Since we were such a large group, all parts of the lamb were served including the chewy and tasteless intestine. The following day I went on a full day trip to Perito Merino. The day trip included the hostel pickup, one hour at glacier boardwalk, followed by a boat cruise and hike on top of the glacier. I had very informative guides with a good sense of humor and enjoyed an ice cold (literally) glass of whiskey at the end. 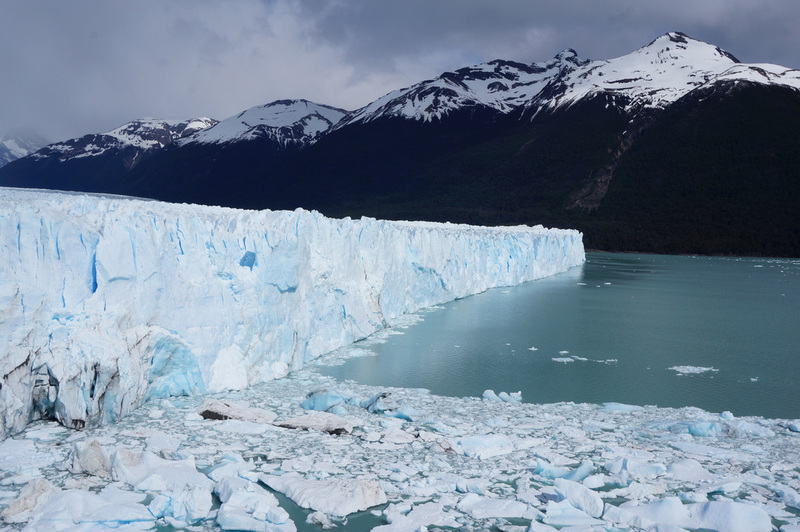 This day trip illustrates the difference between Argentina and Chile. Argentina has a much more robust tourist infrastructure and does a lot more visitor "hand-holding" while Chile has a more "Do It Yourself" attitude towards tourism. It makes things much easier in Argentina but also attracts much more crowds. 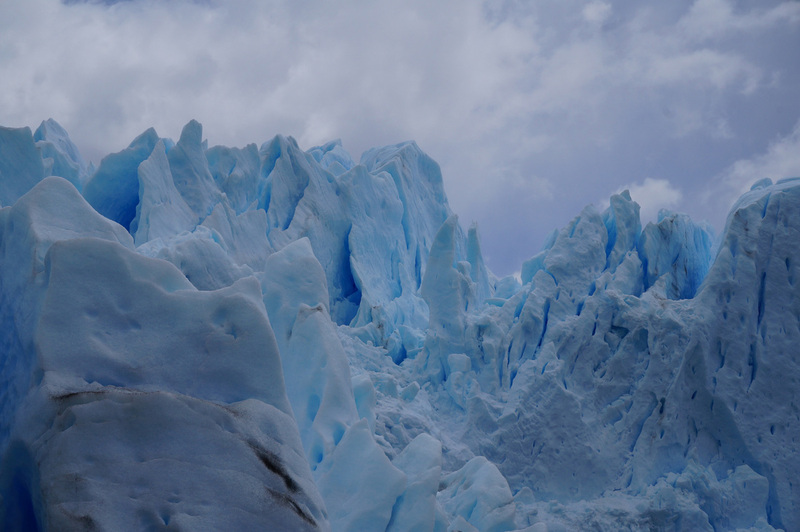 For additional Calafate photos see FLICKR ALBUM.